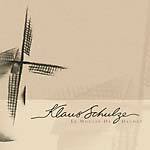 "Re-release of the Klaus Schulze's classic En=Trance (originally released 1988 / re-release 2005). 'Emotional music, gems coming out of the sound computer' --"Fachblatt"/Deutschland, Mai 1988. 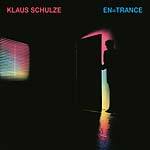 Klaus Schulze about En=Trance: 'En=Trance is a 'pure Schulze' record, I made it all on my own. I have to say I only get other musicians when I notice that the song has something missing. For instance if I feel that the song must have a violin I call (Thomas) Kagermann, and if I need a guitar I would always ask Manuel Göttsching or Michael Lücker. With the songs on En=Trance I didn't have the feeling that something was missing.' This edition was completely new remastered 2017 by Tom Dams!" "40th Anniversary Edition Re-Release -- 2017 digitally remastered by Tom Dams! The LP Mirage, as predicted by Record World, 'will establish Klaus Schulze as one of the most outstanding electronic music composers.' Schulze's flexibility in voice and the final product certainly show the bizarre winter scenery, especially the epic piece 'Crystal Lake', which is loved by Schulze fans all over the world. 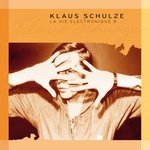 For many fans Mirage is considered to be one of the most important Klaus Schulze works of the 70s." 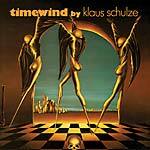 "Re-release of the originally 1974 released Klaus Schulze classic album Timewind, includes generous bonus and a 16-page booklet. Evolving slowly but deliberately over the course of each album side, Timewind has been deemed an electronic version of an Indian raga. It resembles in many ways a longer variation of the third track from Tangerine Dream's classic 1974 album Phaedra, 'Movements of a Visionary', but it remains a transitional work somewhere between the krautrock of Schulze's earlier output and the Berlin School character of his following efforts. The intention of Timewind was to invoke a timeless state in the listener. Both track titles are references to the nineteenth-century composer Richard Wagner, Bayreuth is the Bavarian town where Wagner had an opera house built for the first performance of his massive Ring Cycle. Wahnfried is the name of Wagner's home in Bayreuth in the grounds of which he was buried in 1883. It is also a pen-name used by Schulze himself." " 'This collection is an absolute must for the serious collector and a good starting place for the novice - my highest recommendations for this album!' (Synthetic Pleasure/USA, July 1984). 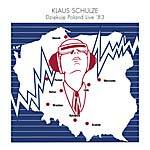 Klaus Schulze: 'In 1983 Poland was still behind the iron curtain but to get permission to perform concerts there was quite easy because I was playing instrumental music. Had I written songs with lyrics, they probably wouldn't have let us come into the country. So we accepted the invitation made by the Polish promoter. We never had any problems with guys from national security there, although we may have tempted fate when we played in Gdansk. We performed there in the same venue where Lech Walesa (leader of the opposition union Solidarnosc) had given a speech the day before and Rainer Bloss and I went on stage and made the V for victory sign. This wasn't at all politically motivated, it was meant to be a sign for love & peace. Nevertheless they edited out the photo of us with the 'V' sign in the Polish edition of 'Dziekuje Poland'. Before the concert, Rainer said to me, 'Let me start at the piano alone!' I thought, sure why not? He went on and played the Polish national anthem and the audience went wild!' 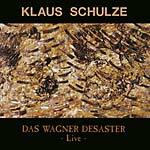 "
"Re-release of the classic Klaus Schulze album Moondawn, original released in 1976. 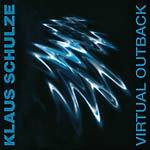 'The album is a dynamic and sometimes explosive expression of the synthesized sound so recognizable as Klaus Schulze.' ('Trouser Press'/USA, November 1977). 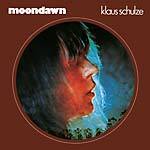 Without doubt Moondawn is one of Klaus Schulze's cultic albums. Klaus was working with a 'Big Moog' for the very first time, which results into a special 'fat' sound. 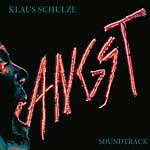 On 'Moondawn' Klaus Schulze was accompanied by Harald Grosskopf on drums. Klaus Schulze first attracted attention as a member of the German pioneers of electronic music, Tangerine Dream. Following the release of their debut LP, Electronic Meditation he departed for a solo career. Klaus' recorded work typically features extended pieces sometimes filling an entire album built around computer-generated synthesizers and other specially programmed electronic effects. 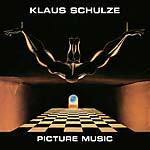 Klaus Schulze remains a cult figure in the whole world. He is widely considered an avant-garde mainstay as well as a founding father of both the new-age space music and electronica genres." 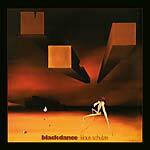 "Re-release of the originally 1974 released Klaus Schulze Album Blackdance, incl. extended liner-notes and bonus tracks. 'Schulze has been described as one of the few electronic composers to put feeling into dead machines and Blackdance proves that to be true.' (Luton Herald/UK, 1974) Blackdance was the album before Picture Music and Timewind, the album which gave the name of Klaus Schulze worldwide recognition and brought him some fully justified success. It was the first Schulze album on a British label (Caroline, Virgin), a fact that resulted in quite a different reception by the press. Furthermore, it was a worldwide deal which meant that all records from Blackdance on would also be available in France, the US and Japan." "'Owing on the strong emphasis on rhythm, in combination with those twittering and rising synthesizer sounds, Picture Music gains excitement and a sublimal aggressivity, so the listener never gets demanding.' ('Sounds'/Germany, May 1975). A British journalist wrote about Picture Music: '...hypnotic quality. Klaus' first true synth album.' What you actually hear is mostly just one synthesizer, the (today historic) EMS VCS 3, which was shortly later exchanged for the EMS Synthi A, which is in fact the same instrument but just smaller and very handy for transportation. After all, Klaus started already in 1973 to give concerts, and he was - as his old pals from Tangerine Dream - for many years the only electronic music artist who travelled a lot to give concerts all over Europe." 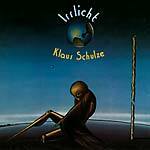 "Re-release of 1972 Klaus Schulze album Irrlicht. Klaus Schulze: Irrlicht has more connections to Musique concrete than with today's electronics. I had not owned a synthesizer at the time. I had a damaged amplifier, a modified organ and a cassette recorder with a cheap microphone. I just went to a Colloquium Musica Orchestra rehearsal with it and recorded it. I just wanted to have the sound and played the tape backwards afterwards." 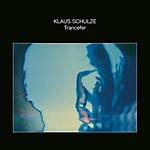 "Re-release of the originally 1972 released Klaus Schulze album Trancefer. 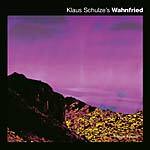 Always a soundwave in front of the rivalry, Schulze presents his album together with the percussionist Mike Shrieve (Santana), who performs real marvels on his two barrels, and the cellist Wolfgang Tiepold, who forms a pleasant contrast to Schulze's often hard and strictly synthesizer patterns with his warm touch. (Stereoplay, Germany, 1982)"
"When In Blue was released, many fans thought that this was the most typical Schulze record for a long time. They were probably right because Klaus did the songs a little bit with the fans in mind for whom the sound of the previous album were too modern. 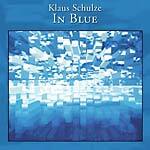 In this respect In Blue is a more traditional Schulze record because it featured Manuel Goettsching on 'Return Of The Tempel'. However he didn't plan it. Somehow it came to his mind to ask Manuel if he won't feel like playing a bit again. When we are playing live we just have to look at eachb other, and everything flowes! Manuel is not only a great guy but also a gifted guitarist. Since the days with Ash Ra Tempel Klaus and Manuel never lost touch with each other."